Misdemeanor arrestees picked up in Las Vegas are brought to the City of Las Vegas jail for processing. Processing includes being photographed, fingerprinted, personal affects inventoried, and given a thorough medical examination. 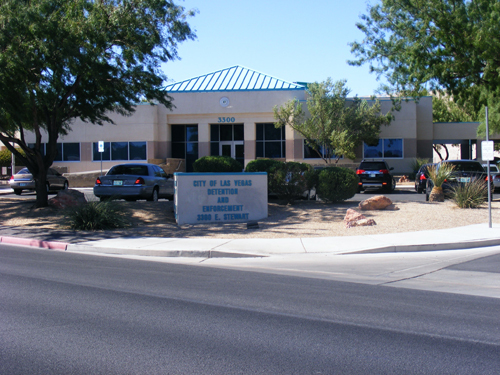 The City of Las Vegas Jail address is 3300 Stewart Avenue Las Vegas, NV 89101. The facility is located between the 95 freeway and East Stewart Avenue. On-street parking is available for visitors. There are opportunities for friends and family to make the life of their inmate easier. Visits can be approved and scheduled, mail can be sent, and funds can be deposited. The City of Las Vegas Jail has policies in place for each of these activities. Visitation of inmates can be arranged and approved by submitting a request form from the inmate. Information needed by the City of Las Vegas Jail to ensure approval include the visitor’s full name and their date of birth. Things that can prevent a visitor from being approved or turned away include: being a convicted felon, being a former inmate over the past six months, unsuitable clothing, current warrants, parole and/or probation, or poses a threat to the City of Las Vegas Jail. Arrive at least one-half hour prior to scheduled visitation for check-in. Dates and times of visitation are available through the facility. To send mail to an inmate of the City of Las Vegas Jail, only written correspondence is permitted. Inmates cannot receive packages or photos. To send mail, include the prisoner’s full name, id number and mail it to the facility. Information for depositing funds include the use of a valid debit and/or credit cards, and cash may be deposited during normal business hours using a kiosk at the facility. For funds to be accurately applied, be sure to use the prisoner’s full name and id number. eBAIL has constructed an inmate search tool to assist in providing information about prisoners within the facility. By using a portion of either the first or last name, users can find updated information on specific prisoners. Using part of all of the prisoner’s id number can also return information about said prisoners. 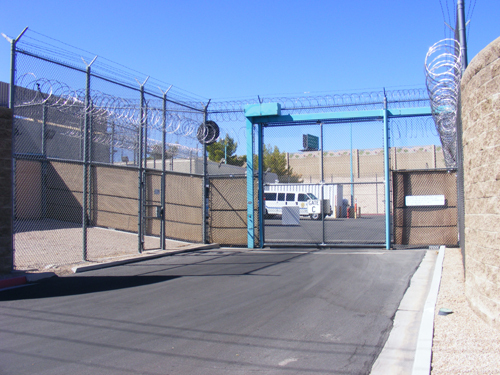 If someone is looking for a professional, fully accredited Las Vegas bail bondsman to assist in getting a prisoner released, eBAIL is the only choice. Highly rated by the BBB, and open all hours of the day and night, Customers can post bail by using their on-line system, in person, or over the phone by calling 702-462-9200. eBAIL unlike other companies in town, can also find information about prisoners within the system. An around-the-clock information line is available for customers and non-customers alike. CityofLasVegasJail.com is not affiliated with the City of Las Vegas or the City of Las Vegas Jail. As an affiliate of ebaillv.com this site can help you search for an inmate that is located in the City of Las Vegas Jail. This website can also help you find a Bail Bond Company in the City of Las Vegas.